During my continual research of Thomas Seymour I have come across a many letters that he wrote during his diplomatic missions. I will be honest, when I first found these letters I glanced at them and my eyes instantly glazed over. Most of these letters contained what I considered a bunch of military jargon that made little sense to me. It wasn’t until very recently that I decided to look at the letters again to help me truly understand who Thomas Seymour was. He wasn’t just the fourth son of John and Margery Wentworth, or the brother of Queen Jane and Edward Seymour – he was a soldier, a man of the sea, an ambassador to the Low Countries and to the King of Hungary. He was also, by the standards of the mid-16th century, worldly. Thomas had traveled to France, Germany, Austria and Hungary…to name the ones that I know of for sure. He was, for the most part well-liked by all. Thomas had the charisma that his brother Edward did not; and the looks his sister Jane apparently lacked. As I navigated through the passages of these letters, I discovered that Thomas had a flare for the dramatic as well. There is one part where he states “we have lost our boats” – making it appear worse by not expounding. When reading that line you get the impression that ships sank. Quite the contrary, they just veered off course. Thomas had a way of drawing attention to himself, even in letters. It is with all this in mind that I chose to write about what I believe was Thomas’ first mission abroad – As ambassador to the King of Hungary. In order to grasp the entire subject of this post, I need to start with the Siege of Buda – this will help a bit to explain the events leading up to Thomas Seymour being appointed ambassador in 1542. The Siege of Buda lasted from 4 May to 21 August 1541 and resulted in the capture of Buda (in Hungary) by the Ottoman Empire, headed by Suleiman the Magnificent. A little back story: Ferdinand of Hungary was the ruler of the Austrian hereditary lands of the Habsburgs. and two years before the Siege of Buda, his accomplished commander, Wilhelm von Roggendorf resigned from combat. — Well, when it was decided that Ferdinand and his allies would lay siege on Buda, von Roggendorf could not resist a good fight for his master. He threw on his armor and joined the allies probably in Vienna. The Hapsburg Empire and the Ottoman Empire had a lasting feud with one another. Charles V, Holy Roman Emperor and Suleiman the Magnificent, ruler of the Ottoman Empire, appear to have enjoyed fighting one another for the land in Hungary. 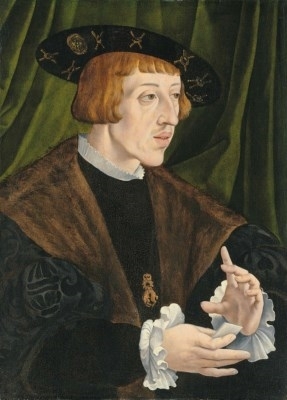 Ferdinand, in 1541, was the King of Hungary, Bohemia, Germany, Croatia, King of the Romans and Archduke of Austria. Between Ferdinand and his brother the Emperor, those two ruled most of Europe. By the 16th century, the Ottomans had become a serious threat to the European powers. This siege was nothing new. From 1526 – 1568, the Habsburgs and the Ottoman Empire were engaged in a series of campaigns called the Little War of Hungary…that’s 42 years of fighting! Am I the only one that thinks 42 years is far from little? The conflict with Buda had really begun much, much earlier. This was an ongoing battle with the winner often changing. So the Habsburgs claimed it and then it was taken by the Ottoman Empire. The Habsburgs reclaimed Buda and eventually the Ottoman Empire snatched it up again. That is exactly what happened leading up to the Siege of Buda. The Ottoman Empire after claiming Buda again decided that they wanted Vienna as well and would try to use the momentum gained from the victory at Buda. It did not work and they were horribly defeated in Vienna. So we are left with both Buda and Pest in the hands of the Ottoman Empire after the Siege of Buda. Of course, the Habsburgs could not let this be. They wanted both Buda and Pest back in their control. This is when England and Thomas Seymour comes into the story. In June 1542, Thomas Seymour was named ambassador to the court of King Ferdinand of Hungary. A trip to Nuremberg quickly followed and Thomas was accompanied by Charles Howard. Charles was the brother of the late Katheryn Howard and Thomas the brother of the late Jane Seymour. The trip to Nuremberg would be the beginning of their trip to take part in the expedition against Hungary, or what it would later be called, “Siege of Pest”. Thomas Seymour’s estimated (by modern maps) path from England to Hungary. It appears from letters that this ambassador traveled with the allied troops and discussed any interactions he may had as ambassador to Hungary. The allies traveled through Europe until they arrived at Vienna, where (it appears) they regrouped before heading to their final stop before Buda, at Esztergom. On the 6th of July 1542, it was reported that the whole army would moved on Buda (it would take about 10 days from Esztergom). Thomas Seymour, in a letter, tells King Henry that there are about 80,000 troops in all, of which 6,000 were upon the Danube, in boats. Along the way the army was able to determine that Buda was strongly fortified with 15,000 men. Vienna to Ezstergom to Buda and Pest. Then on the 10th of July, Thomas wrote to King Henry that the army ‘is camped on the other side of the Danube’. Half of the army came across the Danube by the town castle, where the king and queen, as well as lords and ladies stood for ‘8 or 9 hours‘ to see them pass. I have been trying to figure out which castle he is referring to in his letter. I’m assuming that he is referring to the mammoth sized Buda Castle that lies on the banks of the Danube but I cannot be certain on their plan of attack. The following day the rest of the men followed. In the same letter to his King, Thomas explains how the King (of Hungary) did not intend to besiege Buda the following day and that he planned to depart for Nuremberg to meet the Council of the Empire. So, here is Thomas, ambassador to Hungary, and he just revealed that the man who the English army was there to assist (brother to the Emperor), would abandon the field to go to Nuremberg for a meeting. The plan moving forward was that the army would besiege Pest. If they won the battle they would fortify it and end the campaign for the year. Once fortified they would await the instructions from the Council of the Empire. 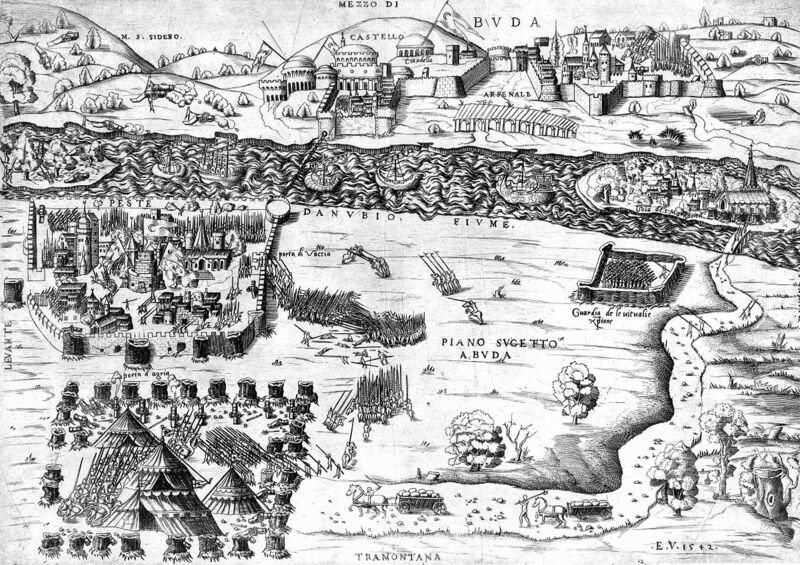 Siege of Pest, after Enea Vico, 1542. There was a snag in the plans when the Turks chose not to send their 8,000 footmen, but in their place they would send 20,000 light horse. Seymour then goes on to explain in his letter that they will ‘tarry here five days for pioneers to mend the way’. News is here so uncertain that he cannot vouch for it. The Turk is coming in person to Buda with 300,000 men, divided in six battles, intending to attack on six sundry days. This army intends, therefore, to tract time until the midst of October; for in the end of October the Danube is frozen, so that the Turk cannot then bring his victuals by water. If it was certain that the Turk would not come in person, even if he sent 200,000 men, as Baron Hedeke says, they would straight to Pest, which could be taken in three days, and then besiege Buda, which might be battered sufficiently for the assault in eight days. Missing it, they would garrison Pest, Stregone, Rabbe, and other strongholds and retire home for the winter. This enterprise can wait six weeks yet. The Turk has lately sent 14,000 men to Buda and Pest, making 32,000 in all; but they are sore punished with plague, men falling dead as they walk in the streets. 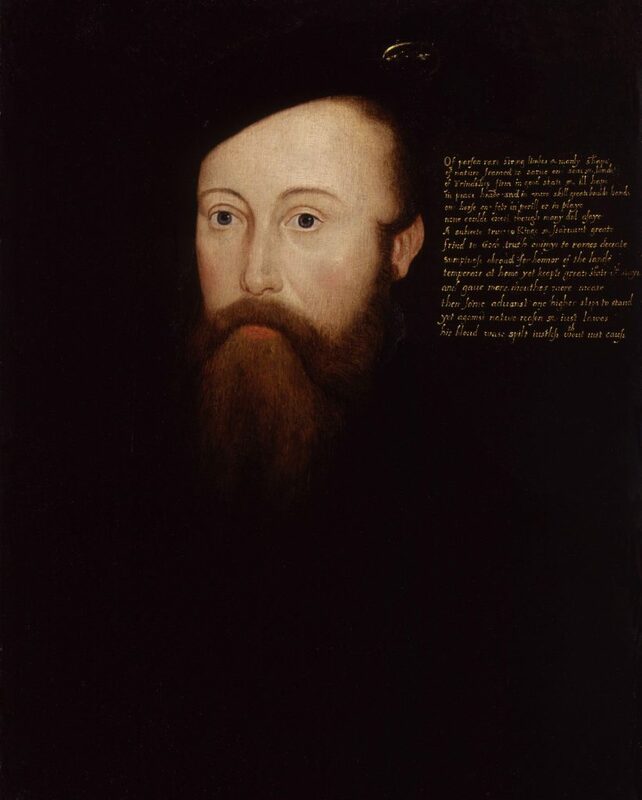 A few days after his letter to Henry VIII, the King replied to Thomas Seymour telling him that he had essentially done his job as ambassador and that his ‘service here is required‘ and that ‘shall upon receipt of this take leave and return home‘. So…evidently, Thomas left Buda and headed back toward Vienna, because that is the next time we hear from him, on the 5th of September where he updates the progress of the upcoming siege. Sir Thomas Seymour, ambassador to Hungary. So the Bishop of Warden sent a man to the King of Hungary and told him that if he will come to Buda in person that the Bishop will accompany him with 8,000 horses. If he does NOT come then neither he nor the 15,000 troops at Stregonne (Esztergom) will advance. Inevitably, the Siege of Pest was a failure. The ally armies were led by a seasoned Austrian military leader, Wilhelm von Roggendorf. Roggendorf was wounded in battle near the end of the siege and died two days later. Had it been the King of Hungary leading his men this story may have had a different ending. King Ferdinand, whatever his reasons, left HIS battle! Does that seem odd to you? On the 5th of October, Thomas Seymour reported that ‘after battering a breach, they assaulted Pest, but failed; and afterwards, for lack of wages, the soldiers refused to keep watch and ward or to make assault’. After all the excitement in Hungary, Thomas Seymour was sent back (under order of the King) to Nuremberg. There he had more discussions and negotiations with other German ambassadors who said they would not fight for the Emperor, but that they could find men who would. As stated previously, the Siege of Pest was an utter failure and the Ottoman Empire ruled there for another 150 years! Before doing all this research I did not really know anything about Ferdinand of Hungary. Once I discovered he was the brother to the Holy Roman Emperor it all made more sense. Here is Charles V and his wife Isabella of Portugal. Charles was the son of Juana of Castile, and Isabella the daughter of Maria of Aragon. Juana and Maria were both sisters of Katherine of Aragon. 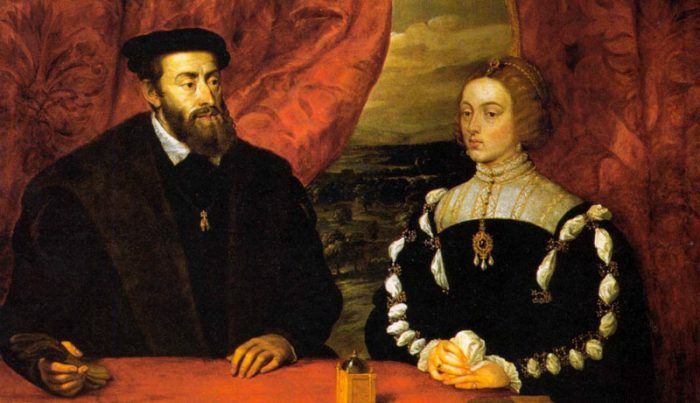 Charles and Isabella were not only husband and wife but also first cousins. Now, check this out: Ferdinand of Hungary, younger than Charles V by about three years. 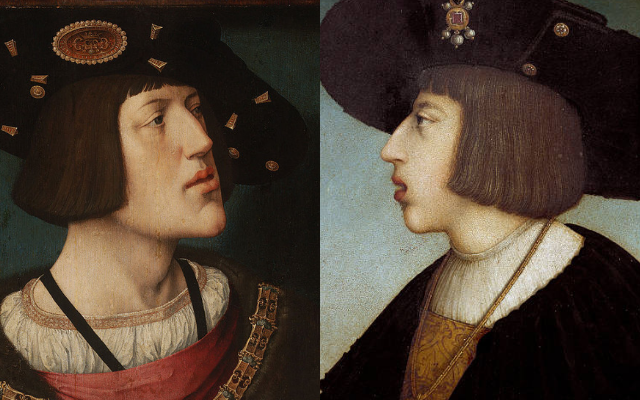 He doesn’t appear to have the strong Hapsburg chin but definitely the long jaw. Let’s be honest, if you look at their portraits side by side you’ll notice the similarity in features. They were, by the way, both sons of Philip I and Juana of Castile. Juana, the sister of Katherine of Aragon. Charles on the left and Ferdinand on the right. So, that’s the story of Thomas Seymour as diplomat and the Siege of Pest. I truly hope you enjoyed taking this adventure with me to learn the truth about Thomas’ life and another interesting piece of Tudor history. I will continue on this path for future posts! Hi – thanks for this, really interesting. I can’t seem to find any published biographies of TS…are you aware of any, or any primary research, theses etc ? Have you considered writing a biography yourself?